BRAND NEW DARE 2B MENS DILIGENCE WATERPROOF JACKET. Dispatched with Royal Mail 2nd Class recorded delivery. SIZE UK LARGE 42”/107cm EUR 52-54 USA 42. COMES WITH DETACHABLE HOOD. BOUGHT DIRECT FROM DARE 2B COMES WITH ORIGINAL INVOICE TO COVER WARRANTY. HAS ONLY BEEN WORN ONCE INDOORS! GRAB YOURSELF A BARGAIN LOW START PRICE. These are a lovely pair of ski pants in good condition, just a few small marks/stains. Women's Dare2b Thermal Black Base Layer Legging. Dare2be ski jacket. Excellent condition, used for one week skiing only, very warm and waterproof and breathable. 1pk breathable and 15k waterproof. Condition is Used. Dispatched with Royal Mail 1st Class. Decent, fairly lightweight Dare2b jacket with normal features of a snow sports jacket. About 10 years old but lots of good wear left. Doesn’t have a zip in arm for lift pass, which is probable due to age of jacket, but used last year in other pockets, There is a small snag on the left from pocket corner, which I have tried to show on the photos. Comes from pet and smoke free home and have great eBay selling history! Thanks for looking. Dare 2B ski jacket. Mens XL. In excellent condition, only been worn once but not for skiing. Dispatched with Royal Mail 2nd Class. Dare2b Black Skiing Gloves Size S/M. Condition is Used. Dispatched with Royal Mail 1st Class. In excellent condition having only been used a few times. Black sallopettes BNWT Xxl Black. Condition is New with tags. Dispatched with Royal Mail 1st Class. This Isotex fabric system makes these insulated trousers;. Bearing taped seams. dare 2b size 12 sports jacket lime and blue. Condition is Used. Dispatched with Royal Mail 1st Class. Ladies Dare2B Ski Jacket Black/Aqua Size UK 12. Condition is Used. Dispatched with Royal Mail 2nd Class. dare 2b ski jacket mens. Condition is New with tags. Dispatched with Royal Mail 2nd Class. 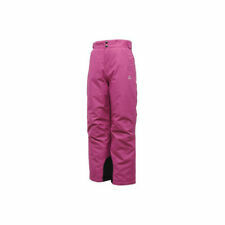 Ladies black dare2b ski trousers size 12. Condition is Used. Dispatched with Royal Mail 2nd Class. Ski skirt - sleeve pocket - (various inside pockets). Dare 2B jacket - worn twice (XL/44in). 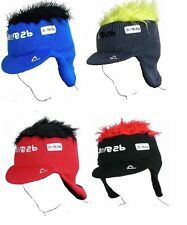 Dare 2b Fleece Insulated Layer. Condition used but in great condition. Outgrown. Size 15-16. Boys. DARE2B MENS Stalwart SKI JACKET SIZE L 42 inch chest. Condition is New with tags. Dispatched with Royal Mail 2nd Class. 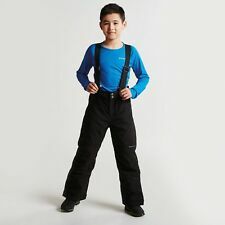 Dare2B Ski Trousers 13-14 years 157cm Black. Condition is Used. Dispatched with Royal Mail 2nd Class. Ski Jacket And Trousers d2b Grey/red/white. Condition is Used. Dispatched with Royal Mail 2nd Class. This Midlayer long sleeve top is blue in colour. It has a half zip and pulls over the head. It has the Dare 2 B logo on the front and on the back of the collar. However, this is good quality and there is still plenty of wear in it. Condition is Used. Matching Dare 2b pink ski jacket and sallopettes, also thermal set and fleece, will fit 5-8 year old. Is a fantastic ski jacket Size 20 waterproof Breathable Taped seams Lots of pockets Well made and well designed Looks perfect from outside but the lining doesn’t look so good in a couple of places! Please see all the photos From a pet and smoke free home I am selling loads of ski gear as well as lots of other fabulous bargains in this size as well as for the whole family so do take a look as I am always happy to combine postage costs. Thanks for looking! For sale is a Brand New Dare 2 B Core Stretch Top in a size 10 and black in colour. Great top that will keep you nice and warm. Grab yourself a bargain. Pit to pit approximately 18.5" Pit to cuff approximately 20" Thanks for looking and please see my other items. From a smoke and pet free home.